With a Napoleon HD35 Direct Vent Clean Face High Definition Gas Fireplace comfort and relaxation are available at the touch of a button. 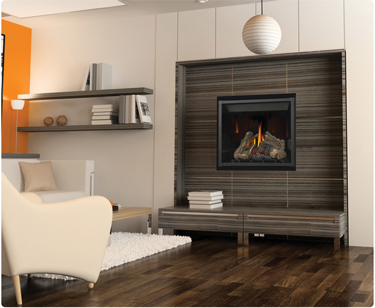 Designed to be as easy to use as possible, this gas fireplace's convenience starts with its installation. Because it can be directly vented through a wall or roof you won't be tethered to a chimney; you can use this fireplace almost anywhere you've got the space. This flexible fireplace also features both horizontal and vertical venting so you have the ability to do what works best for you. Of course, ease of use isn't your only concern when selecting a fireplace. You want a heat source that is going to bring an attractive look to your home as well as heat. Well, the Napoleon HD35 Direct Vent Clean Face High Definition Gas Fireplace won't disappoint. 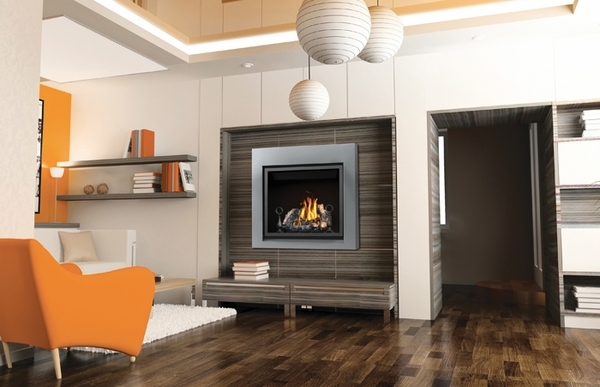 The fireplace has a modern look that can accent almost any decor, while the molded ceramic Phazer logs and unique burner system create realistic flames. 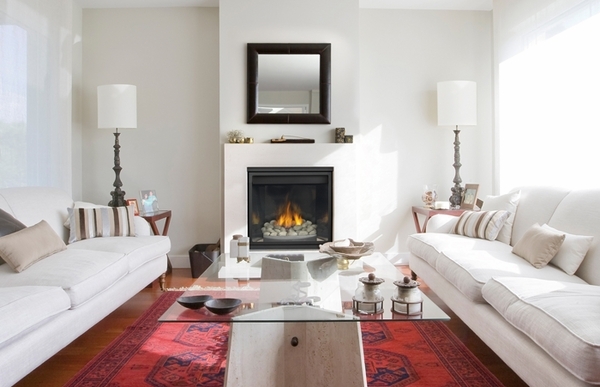 Any part of your home will be enhanced by this secondary heat source. The Napoleon HD35 Direct Vent Clean Face High Definition Gas Fireplace is efficient, attractive, and, above all, easy to use. With this model, the most stressful part of an evening by the fire will be forcing yourself to get up and leave. How many home accessories can you say that about? What is weight of this unit? This fireplace weighs 182 pounds. Is there a blower kit for this fireplace? A blower is indeed available for this model. The proper fan to use is the Napoleon Blower Kit with Variable Speed and Thermostatic Control.